They are fighter robots, designed for the Israeli military in battle zones. They carry Glock Pistols that are remotely controlled by humans. It's robotics at the cutting edge of war. And the potential of this is what worries innovators like Elon Musk - the eventual rise of killer robots. 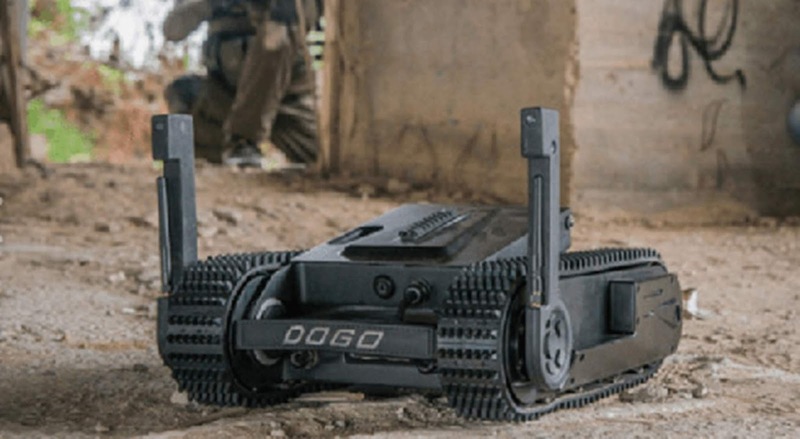 DOGO looks like a PacBot, like Roomba the vacuum cleaner. But it's a lot more tech than that. It climbs stairs, fits into a soldier's backpack and rolls out in pairs. It also carries a lethal weapon on its side. A human is the remote operator. DOGO can't fire the weapon on its own. DOGO crawls into place and then unfurls its 9mm Glock 26 compact pistol. The robot is remotely controlled by a human with a handset that displays live video and allows the human to remotely fire the weapon. This keeps the soldier off the direct line of fire - lifesaving robotic technology. Police and first responders are also using DOGO. DOGO also is armed with a speaker and mike, allowing police or others using it to negotiate with those involved in a dangerous situation. It weighs less than 25 pounds, has a top speed of 4 mph and is loaded with 8 cameras to provide live surveillance of the scene. It was designed by Israel based General Robotics. It's also available in a non-lethal, unarmed version. DOGO is a tactical combat and service robot.